I've been away for a few days and a little too busy to post. I have however been taking photos; and I should be able to play catch-up during the forthcoming five-day holiday. The posts will include photos from the Special Forces event at Kuwait Towers last Saturday, some shots of (and from) the new A380, and a postcard from Hamburg where I am today. For this post, I wanted a photo that symbolised a break/pause. I was inspired by the silly title, and the word 'Gap' made the choice obvious. If you haven't yet guessed it, it's a close up of my jeans. I used a Canon G11 on a macro setting. I'm impressed with what this little camera can do. I can't wait to buy a macro lens for my Nikon, which I hope to do in the summer. 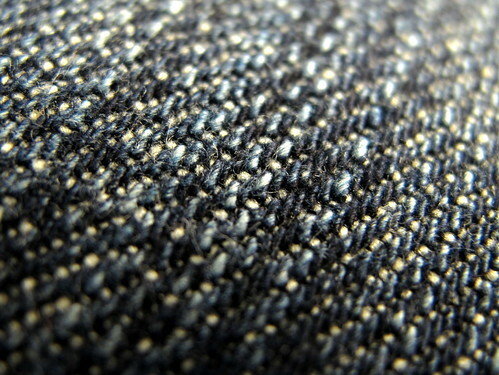 i would have never guessed this was a close up of jeans .. I thought it was tent fabric! Nice macro BuYousef. "mind the gap".. isnt that the warning on the tube in London? I thought it was carbon fiber for a second! Hope you enjoyed the break! I have the G11 too and its very impressive camera for its size! Just the right camera to travel with! I thought that picture was of a thousand flies all bunched up together!